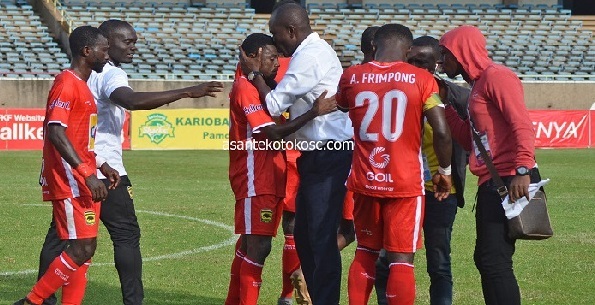 Asante Kotoko head coach, Charles Akonnor, has praised his charges despite bowing out from the CAF Confederation Cup competition. Kotoko failed to progress to the quarter final stage after losing 1-2 to ZESCO United in Zambia on Sunday. And the coach has admitted his side’s demonstration of a below par performance in their last group encounter. The Porcupine Warriors’ woes started after failing to bag all points at Baba Yara ten days ago. That made the ZESCO clash a must win, which the coach narrated put them under intense pressure. Coach Akonnor also expressed worry over the rate at which the team conceded in the campaign, and has promised to smoothen the edges particularly in the rear department. Akonnor added “The goals we conceded since we started this campaign have been a major problem and it has affected us. “Honestly we’ve lost bitterly but I must say, I’m proud of the boys from the time we started this; it’s been a difficult journey. Sudan’s Al Hilal finished first in Group C and were joined by Zambia’s side Nkana FC.